This funny photo shows a sand-sculpture of a sunbather. The comments read: Relax!!! Life's a Beach! Take it Easy! Soak Up Some Rays! 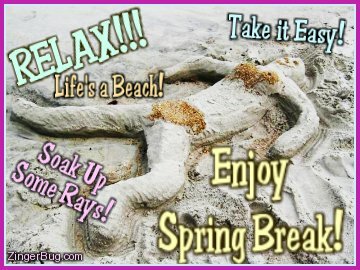 Enjoy Spring Break!